The traditional lift up hinge was generally clunky and prone to slamming down. 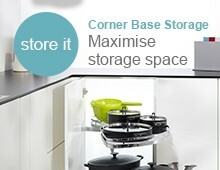 However, a cupboard door meant you could only access the contents from one side which could be awkward. Blum’s Aventos lift up hinge systems provide smooth and silent access to wall cabinets as the front is lifted up and away from the cabinet. 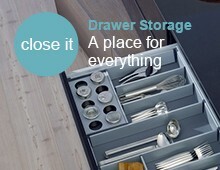 Blum’s cabinet stays are available for a wide variety of applications. 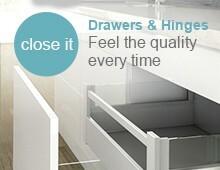 The Blumotion technology ensures the front smoothly opens and closes, softly and silently each time. For the ultimate experience add Servo Drive's electronic system for assisted and effortless opening and closing with a single light touch. 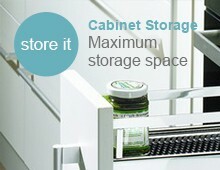 Use the Aventos HK-S for smaller and lighter cabinets. 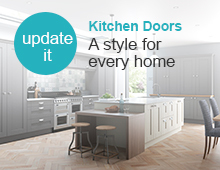 The HF lift up hinge is ideal for bi-fold doors and the HS for large front doors. 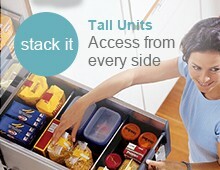 The HL lifts up clear of the cabinet and can be a feature in high ceilinged rooms.